Though it’s a relative newcomer, the Westin Dublin boasts one of the most prized locations in town: just opposite Trinity College lie three 19th-century buildings, their historic forms wedded together into this most functionally modern of hotels. One of the three was a bank, and it contributes more than just its stately facade — the lobby, with its columns, is suitably grand, and the cellar bar, with its vaulted ceilings, recalls nothing so much as, well, a vault. 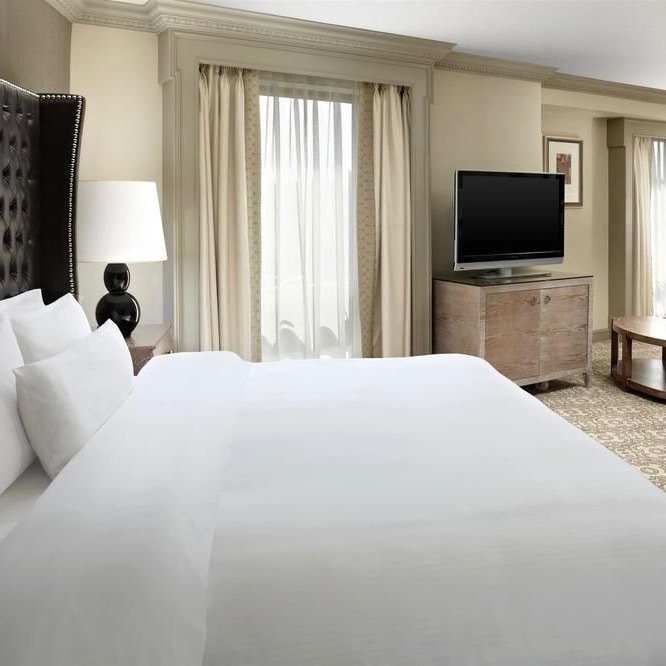 The Westin’s interiors have had a pretty thorough going-over, but the rooms bear the stylistic signature — and the relatively modest square footage — of the 19th century. It’s beneath the surface that much of the work has been done, with all the modern necessities in place, both high-tech and low, including Westin’s trademark Heavenly Bed. The best views are of the extremely photogenic college, which is everything you’d want to see in an ancient university. Central Dublin is nothing if not walkable. You’re close enough — but not too close — to Temple Bar and its overflowing nightlife, as well as most of Dublin’s best dining and shopping. And this location makes the Westin feel like an instant classic — as though it had always existed, just at the edge of the city center.